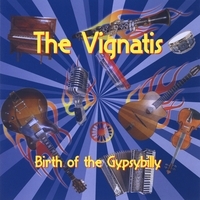 The Vignatis are more colorful than a box of Crayolas; some bright and bold while others pastel and quiet. It's that kinetic life palette of music, language, French/American cultures and experience they so ingeniously merge creating an innovative, fresh, musical alloy of panache that leave audiences amplified. Like a musical Leonid Afremov, Fabrice and Tracy use their carefully sketched songs, vocals, guitar and clarinet to paint a musical picture utilizing their respective backgrounds in an unmistakable, neo-nostalgic manner not to be confused with others. They skillfully combine elements of Gypsy Jazz a la Django Reinhardt, Country, Rockabilly and Jazz into a driving sound that has galvanized Los Angeles. Their lyrics range from fun and inspiration to life lessons and world peace. You sing along and tap your toes even as you're hearing the song for the first time. Their musical paint brushes are currently crafting their next album to consist of the gradient blending of cerebral portraits meet melodic stanzas in a more organic direction with a roster of Grammy winners and nominees. From simple to elevated, the lyrics are based around, causes, relationships with lovers, family, friends and even locations. “Change is inevitable in life so therefore, our music is evolving too,” says Fabrice. 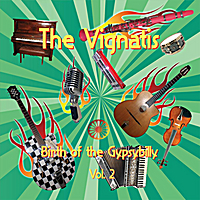 From a small club to the Clive Davis Theater at the Grammy Museum, The Vignatis take their performing mission seriously as a painter would a commission leaving all they have on their canvas, the stage.